Buffalo, NY – A neighborhood theatre and East Side landmark will open its doors to the public for the first time in over a decade on Friday, February 12th at 3PM. 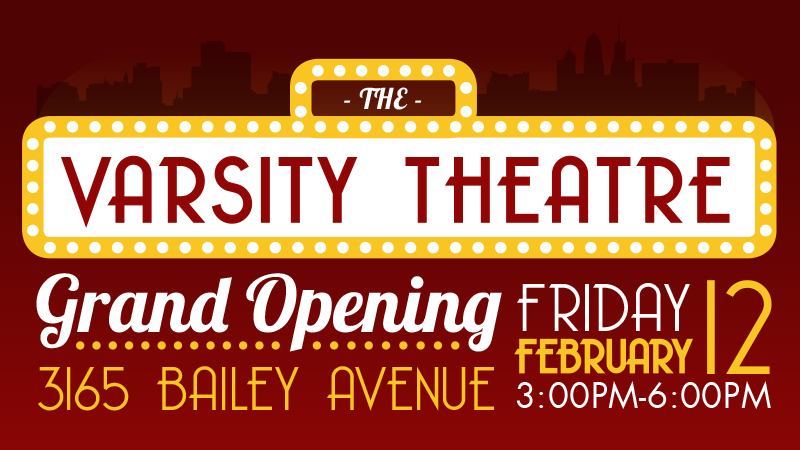 The Varsity Theatre located at 3165 Bailey Avenue has been reborn thanks to Ibrahim Cissé, the theatre’s tenacious owner and President of the Bailey Avenue Business Association (BABA), and a $150,000 grant awarded to the University District Community Development Association (UDCDA). The grand opening celebration caps off nearly five years of work to bring the theatre back into operating condition. Purchased in 2010, Mr. Cissé has put more than $400,000 into the property, renovating the theatre in addition to several offices, including one that houses his own IT firm. The most recent renovations including an upgraded HVAC system, new bathrooms, dressing rooms, insulated walls and exit doors, building waterproofing, new fire and burglar alarm system, a video security system, a reconfigured seating area, and architectural repair work. 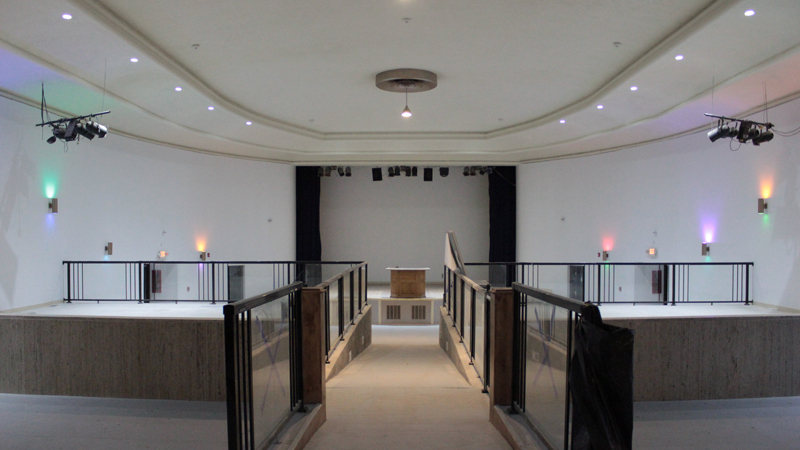 The finished interior space of the Varsity Theatre includes two seating platforms on either wing that will host banquet style tables and chairs for events. Full capacity for the venue is 670 guests. This work was made possible thanks to a grant from the New York State Division of Homes and Community Renewal, energy efficiency work funded in part through NYSERDA and PUSH Green, and financing provided by Evans Bank and PathStone Enterprise. Opened in the mid-1920s as the 1,000 seat Basil Brothers’ Varsity Theatre, the latest renovations have transformed the theatre into a multi-functional event space that includes a 300 seat theatre space, as well as a tiered seating and banquet area that can accommodate an additional 270 patrons. The Varsity will not only provide a unique venue for the neighborhood, but also the entire city. “The rebirth of this historic landmark will help to bring attractions to Bailey Ave and is a blueprint to further business development in the University District” stated University District Council Member Rasheed NC Wyatt. The theatre was known by many names including the Circle Arts, Capri Art Theatre, and Uptown Theatre of Performing Arts before closing its doors. Located in the Kensington-Bailey neighborhood, the Varsity is well positioned as a neighborhood anchor, especially as similar theatres have been demolished or are threatened. Mr. Cissé, the UDCDA, and additional community, business, and government partners believe the theatre can be a linchpin in the revitalization of Bailey Avenue and the surrounding University and Masten District neighborhoods. Thanks to a dedicated owner and a community rallying behind him, the building has become a symbol of grassroots revitalization, instilling hope and pride in the neighborhood, changing outside perceptions, and drawing visitors from around the city and region. 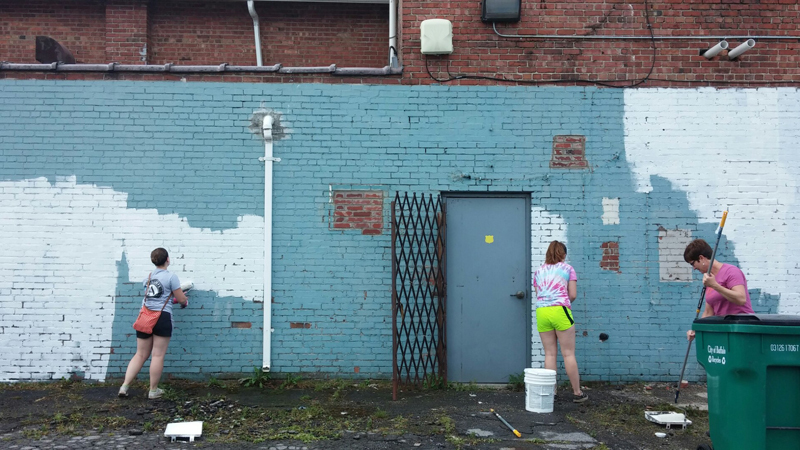 The Bailey Avenue Business Association, Buffalo’s Young Preservationists, and the Tool Library sponsor a community cleanup and workday at the Varsity Theatre. Students from neighboring schools also get in on the action! The theatre has also been called an example of modern-day “community barnraising”. Hundreds of hours of volunteer work thanks to residents, business owners, and students have helped push this project forward from its inception. Partners on the project have included the Bailey Avenue Business Association, Buffalo Promise Neighborhood, Junior League, University at Buffalo, University District Block Club Coalition, University District Community Development Association, University District Council Member Rasheed Wyatt, University Heights Collaborative, University Heights Tool Library, Villa Maria College, and countless others. The theatre has also served as a staging ground for a number of community projects; storing hundreds of trees for ReTree the District and construction materials for Bailey Fights Blight. The theatre will also play host to a public art initiative this spring as part of Bailey Fights Blight with a mural going up on the south side of the building. Bailey Fights Blight is a program working to board and secure vacant buildings, while using public art as a way to fight blight and provide a canvas to share the neighborhood’s story. 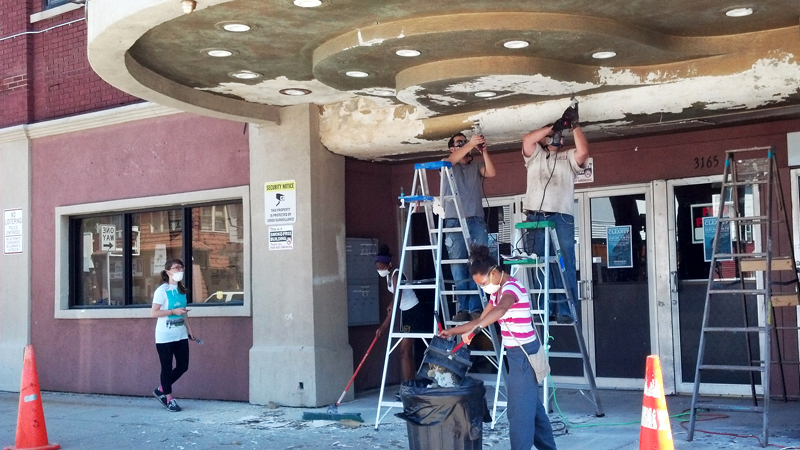 Volunteers prep the side of the Varsity Theatre for a mural that the community will collaborate on this spring and summer. Additional plans for the theatre include exterior masonry work, returning full glass storefronts, and the recreation of signature marquee signage. Mr. Cissé and the UDCDA plan to apply to the next round of the Better Buffalo Fund to further reinvest in this East Side landmark and stabilize the Bailey Avenue Commercial Corridor. “The Varsity Theatre has definitely set sail in Buffalo, New York to become the premiere local inner city entertainment venue, showcasing arts shows, theater, music history, musicals, and special events. Yes, the long awaited stage has been set by Ibrahim Cissé” said Levino L. Johnson, resident and owner of Executive Investigation and Security. The grand opening will take place on Friday, February 12th at 3PM at the Varsity Theatre located at 3165 Bailey Avenue. A press conference will take place from 3-4PM, while live music, food, and tours will greet attendees from 4-6PM. For additional photos of the Theatre’s transformation, please visit the UDCDA’s Flickr.